One doesn’t work in conservation expecting attaboys. For every land project that works out, a few don’t. You see progress continue its march through the countryside. People call you things like “environmentalist” and “greenie” with no compliment intended. Sometimes you’ll catch a hug from a landowner whose family land you helped protect, or receive a wonderful card or email from a hiker. You find fellowship in the spirit of your colleagues, volunteers, and partners. You madly adore your members and supporters, always wishing there were more. If only everyone who shared these values stood up to be counted, you tell yourself. Those who do stand up seem like angels. You find your rewards in other places. You develop a different sense of appreciation. You hope that the world can be better tomorrow than today, with the optimism that is inherent in conservationists and people who love nature. And then, one morning, a young man goes for a walk in the woods with his camera. Not just any woods. Woods we’ve been working to protect and restore for almost two decades. Woods that weren’t even woods when we started there. Swampy fields and a few trees with wet feet. A place tamped by generations of hard use, but still untamed. A place ready to show itself again if given the chance. On that walk, looking for the eagles that have raised their young in the same area for 15 years, the man gets a moment. Twenty feet away, a young bobcat jumps on to the boardwalk and looks at him, curiously, cautiously. The encounter lasts but a moment before the cat bounds away into the tall grass to hide. And in those few seconds, the man gets a few pictures. Then he sends them to Sycamore. When I saw the photo from Chip Methvin featured on the cover of this issue, I lost my breath and my eyes swelled with emotion. I felt gratitude. My colleagues cheered together, a handful of friends sharing a moment rightfully belonging to many. Thousands of hours of hard work by hundreds of people over the course of many years, and look what we did! 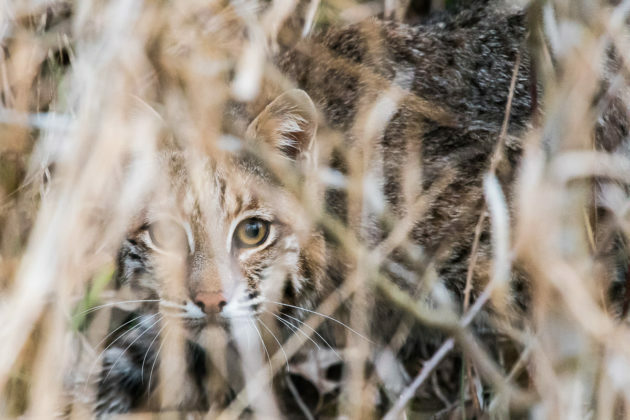 To Chip, and the many people who made Sycamore’s Beanblossom Bottoms Nature Preserve a reality, to our members and supporters, to our friend the bobcat, we offer you thanks. You made that happen. Atta-boy. And to the thousands of others in southern Indiana who care about this Earth, this place, these creatures, we ask you also to give thanks. 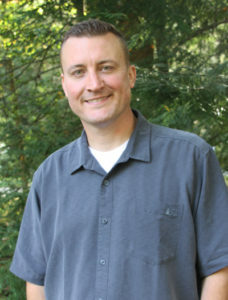 Being a member of Sycamore Land Trust is both giving and receiving. Bobcats can say thanks, too. Nothing can be so rewarding to the conservationist as this small act of grace.